I generally reserve the word “awesome” for things that are exceptional. The baristas at Starbucks have a somewhat lower threshold, it seems. I must have made a good choice. Now, I always thought that John is a pretty solid name. Not unusual. Simple, Biblical, and practical but with a touch of gentleness added by the curving “J”. I like being John. But never thought of it as an awesome name. These girls are making me feel pretty good about myself. Awesome name, awesome choices. Awesome taste. 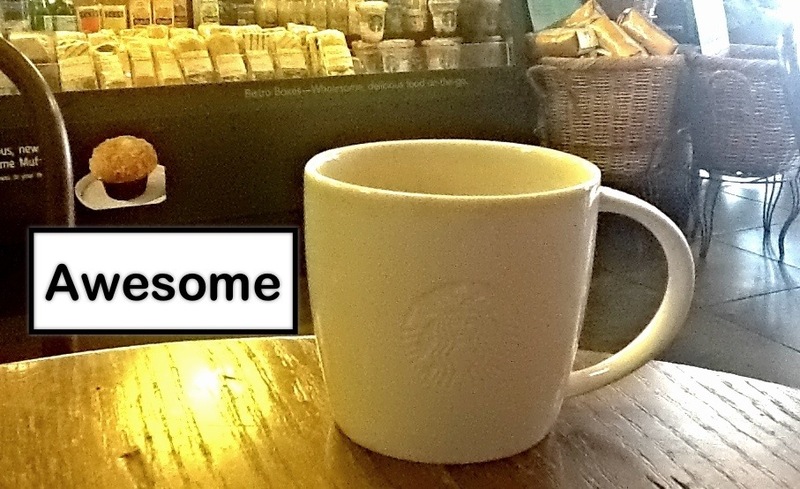 I sit down with my coffee feeling … awesome. The next customer comes up to the bar. Wait a minute here. The awesome choice is whole wheat and toasted. Then the barista says “Awesome” as she writes “Marvin” on the guy’s cup. She hands him his coffee. “Awesome” Marvin says with a smile. I realize that these pleasant upbeat responses are not to be taken literally. When I looked up slang equivalents of “awesome” there were 341 entries ranging from “fantabulous” to “sick” and from “wicked” to “bomb-diddley”. I will admit that if the barista responded to my choice of bagel with “bomb-diddley” it would have taken me aback. And recognizing everything about me as “awesome” momentarily and in my sub-conscious mind made me feel special. That was the intent and it worked. I’ll take it. 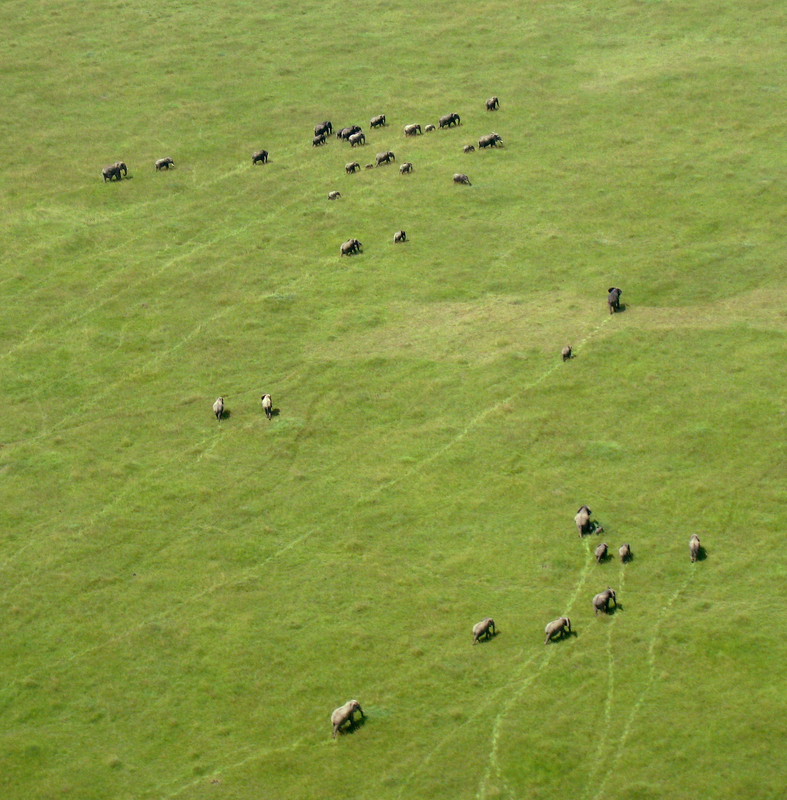 Watching from the cockpit of a small plane as a herd of elephants crosses the African savannah….now that is Awesome. But as I thought about it, I also started to mourn the loss of the word as I use it. Calling the view over the Rift Valley or a towering redwood cedar in the Rainforest on Vancouver island “Awesome” puts it in the same category as my toasted whole wheat bagel. I will have to look for some different superlatives. 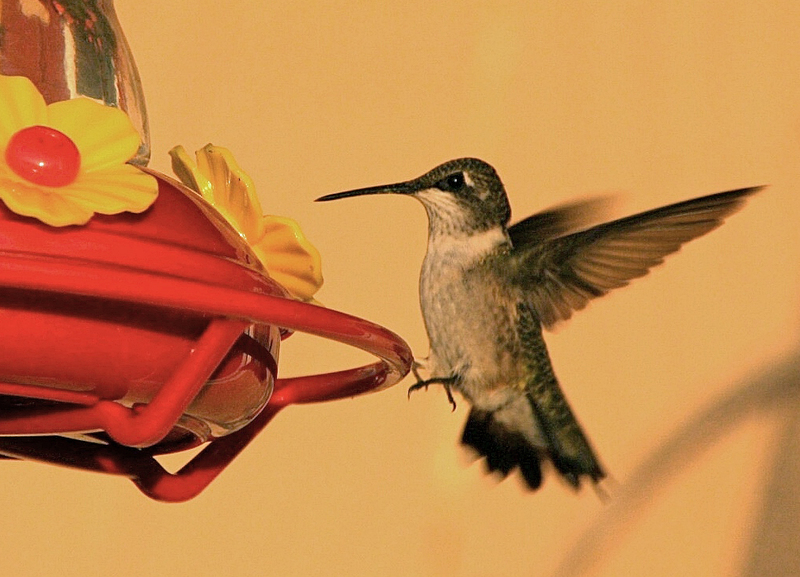 Now, you have an awesome day… in every sense of the word. 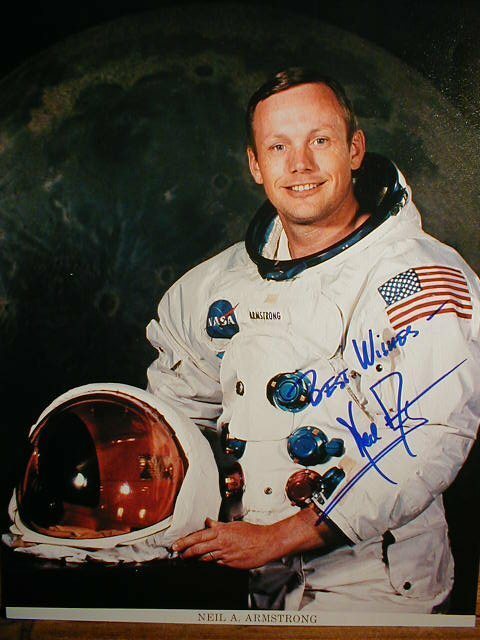 Neil Armstrong, first man to plant a foot on the surface of the moon, died today. I got to thinking about where I was on July 20, 1969 when that event was taking place. In many ways it was the equivalent of Christopher Columbus landing in North America. An historical voyage of exploration. That afternoon I was at a family gathering that was honouring my upcoming marriage three weeks later. I had been Best Man at the wedding of friends the day before. We were all 21 years old. So young when I think about it now. But unmarried young couples didn’t openly live together back in the sixties. If you wanted to live together and be socially accepted you were obliged to get married. Not that there is anything wrong with that. It was a summery afternoon and we were all sitting on webbed lawn chairs in the back yard of my future wife’s Aunt Una, drinking beer and preparing a barbecue. We shared with the rest of the world as Neil Armstrong gave his “One small step for man“** sentence and later that night marvelled as we looked up at the moon and thought that there was indeed a man up there. One of the other powerful things about that event was that it was broadcast live on television. Bear in mind this is long before the days of the Internet and even home computers. Transmission of a live TV signal from the moon so everyone could watch this historic happening was remarkable in itself. I wrote last week about “turning” 65. Part of my reflections around that birthday were also centred on all the things that had happened in my 65 years – the first step on the moon being one of them. What were some of the others and where was I when they happened? November 22, 1963. 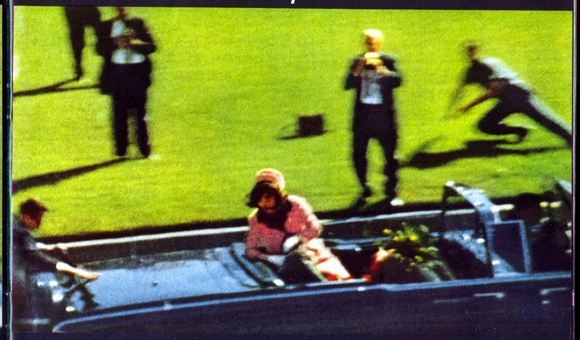 That afternoon as I sat in the row next to the inner wall in the upstairs classroom of my high school, Jackie Kennedy was leaning over her assassinated husband in the back seat of a limo in Dallas. I remember exactly where I was sitting in Miss Allison’s French class at London Central Collegiate Institute when news came over the intercom that President John F. Kennedy had been fatally shot. I remember walking home from school in a daze and spending the weekend in front of my grandparent’s TV as the rest of the weekend happened, including seeing Jack Ruby emerge from the crowd shoot Lee Harvey Oswald as he was being transferred somewhere. 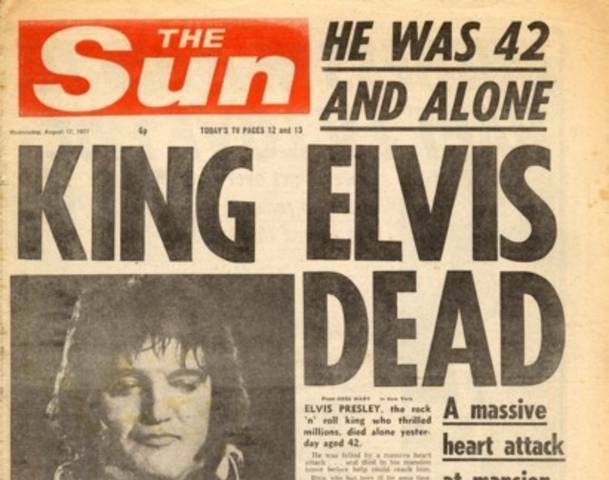 I remember where I was when I learned that Elvis Presley had died. It was the day before my 30th birthday. I was feeling like part of my past had disappeared and I remember sharing that thought with a young woman who was in the hospital with metastatic breast cancer. “He was so young“, she said. She was less than 40 with three kids and was dead within the month. Even earlier I remember the day that Marilyn Monroe was found dead. I know it was a Sunday. I was a teenager then, spending the summer at Bluewater Beach near Goderich, Ontario. A friend and I had a job peeling potatoes for french fries in a local restaurant (that is a story in itself) and the news happened to come on the restaurant radio as the owner of the restaurant scraped fat off the big iron grill to make fried eggs for the patrons…and for him and his wife who sat in the back booth smoking and eating between customers. It is intriguing to me that many of the triggers for these very distinct memories are around the deaths – Elvis, Princess Diana, JFK, Martin Luther King, the Challenger Astronauts, 9-11. They all call forth distinct pictures of where I was exactly when I heard the news. Perhaps the passing of someone famous triggers a landslide of thoughts and reflections that are all bound up in one moment of information. Death events mark a finite irreversible transition point in history. In contrast, the Moon Landing was one of celebration and achievement. And to be a witness to it with the rest of the world was pretty special. My experience of the inauguration of Barack Obama was also influenced by memories of race riots in the U.S., Martin Luther King and segregated drinking fountains. More recently, I shared watching the inauguration of Barack Obama with a bunch of students all gathered around a television in Nairobi, Kenya. It was a very special way to experience that historical event given that Obama’s family hailed from Kenya. Downtown in Nairobi the students at the University gathered to watch. They all stood up when the Oath of Office was administered in Washington. Respectful and touching. I did wonder, however, if my take on the first African-American President of the U.S.A. being sworn into office was different from the young students with whom I watched it. I remembered apartheid and segregated washrooms in the U.S. and Martin Luther King as well. Do you have some moments that had so much impact that you remember exactly where you were and what you were doing when they happened? Want to share them with me? Enter your significant historical moments in a comment, I’d love to hear about them. **Apparently Neil Armstrong was supposed to say “One small step for a man” but he left the “a” out when he made his step off the ladder onto the moon surface. Imagine the excitement for him of that moment. 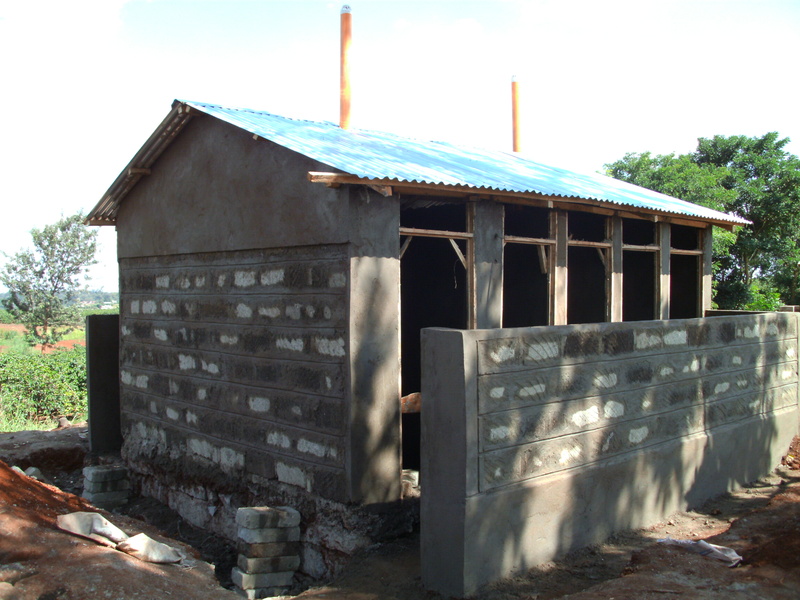 I’m delighted to have received further updates about the sanitation improvements that CanAssist is funding at the Mutundu Primary School in Kenya. 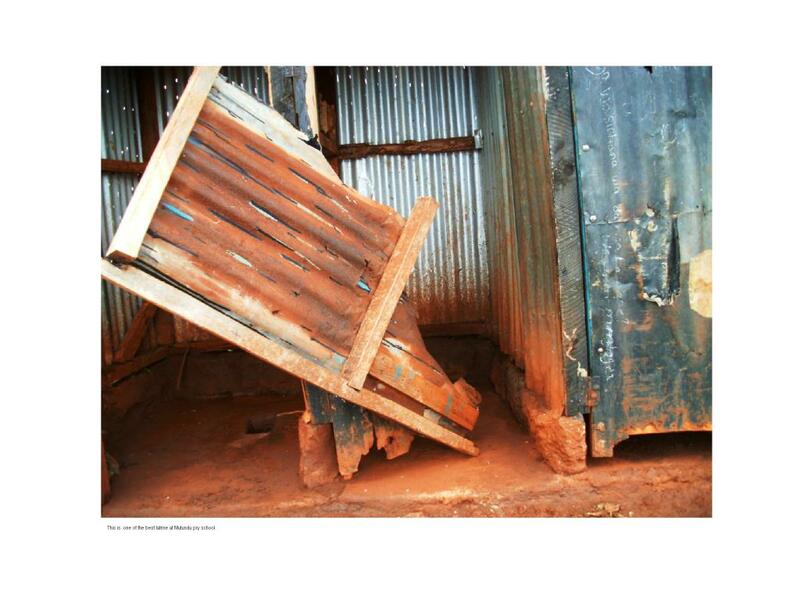 I first wrote about this in a blog article in June (Sanitation – or lack of it) and subsequently updated it last month (Sanitation – Making progress) As you can see from the photos, the state of the toilets for staff and students at the school when our Kenyan assistant, Dan Otieno, assessed them was nothing short of disgusting. Last week I received more pictures of the new latrines at the Mutundu School I would like to share along with some hidden advantages to the community from the kind of development work we are doing through the CanAssist African Relief Trust. I have come to realize that often the stimulus to a community provided by the funding of an infrastructure project such as this one has other less obvious benefits. 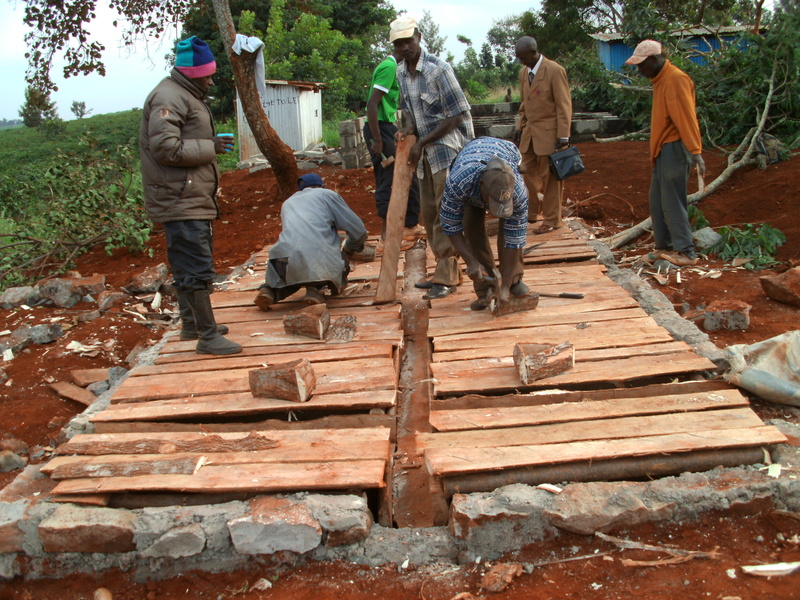 The materials for construction are all locally purchased and the skilled (and unskilled) labourers to construct the projects are local tradesmen, often without much work. So we are not only providing the structure or item that will be part of the community and improve well-being there, we are also giving some employment to the locals, albeit temporary. 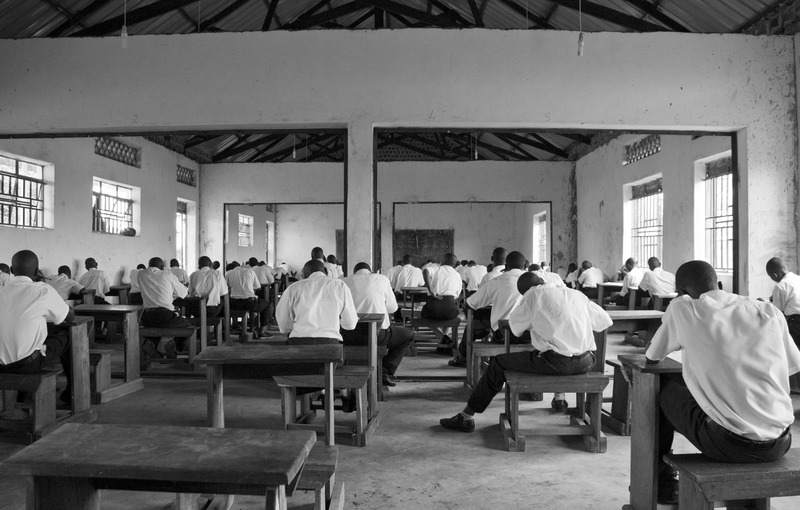 CanAssist recently sent money to another school in Uganda – Hope for Youth School near Mukono – to purchase 70 desks and chairs for the school. The cost comes to just over $5000 to do this. The bonus is that the desks and chairs will all be made locally by carpenters who will therefore benefit as well. This is a Win-Win situation. The school gets the needed furnishings and the local carpenters (and suppliers) benefit from the business. It makes me happy to see this work at the Mutundu school progressing, knowing that the sanitation (and thereby health) conditions at the school will be greatly improved. I am also glad that the community are having some opportunity to participate in the construction and even earn a bit of money as they contribute to achieving these goals. When money for infrastructure projects like the latrines at Mutundu School becomes available, it creates lots of interest in the community, a sense of ownership of the project and employment for tradesmen in the region. 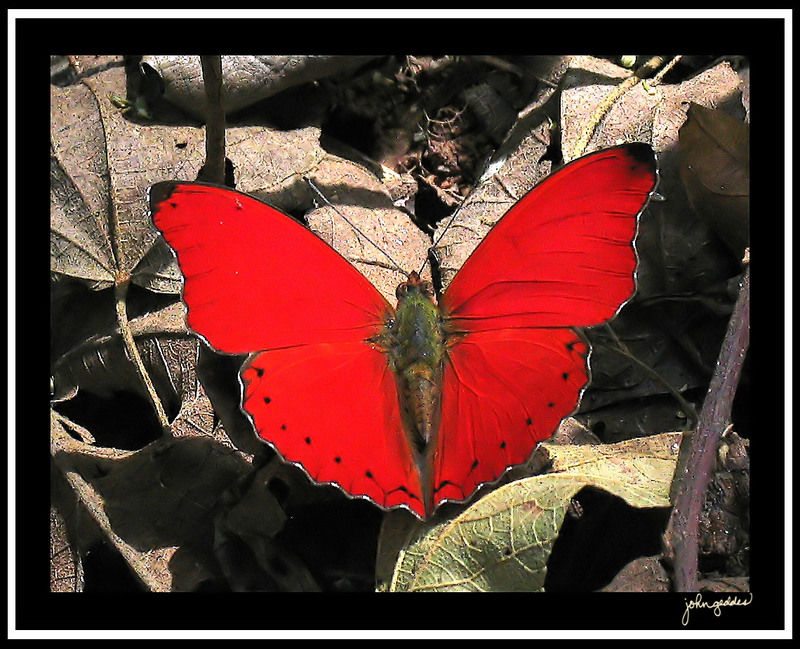 Time marches on…and so will I. Today I celebrate my 65th birthday. Initially I put “turn” 65 but realized that this not only sounds like a child talking (“I’m five, turning six in August.”) but also the “turning” word signfies a change. Leaves “turn” brown and fall off the trees in the autumn. The weather “turns” colder. To every thing, there is a season. I am really no different than I was yesterday. I haven’t “turned” at all. This is the summer that I “turned” six. 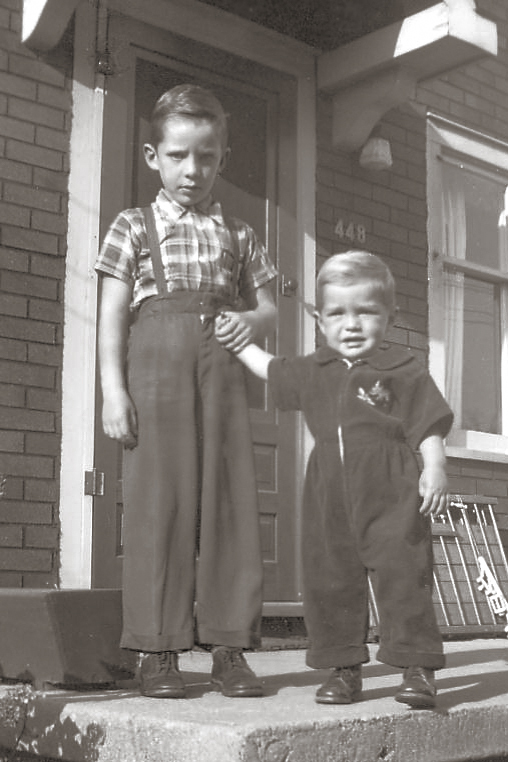 With my little brother, Bob. For some reason there are certain birthdays that carry significance more than others. I remember “turning” 16 and being able to get my beginners driver’s license. It was a big deal. I felt like I had grown up. Little did I know. But it was a birthday to be anticipated with some excitement as it carried with it promises of increased rewards. Growth. Expansion. Benefits. In a similar way, I recall being 21 and going to a bar and being able to legally order an alcoholic drink, actually hoping that someone would check my I.D. I had no trouble with 40, 50 or even 60. I felt that these markers were middle-age and also had some benefits. Maturity, some financial security, established friendships and professional life and a certain degree of autonomy that only comes as you age. There are some benefits, to being 65, I guess, but they seem to be overshadowed by the hovering grim reaper. I will save $1 when I go to the Screening Room for a movie. I will legally qualify for seniors discounts at several places. When I go to a Denny’s I can officially order the seniors meal – smaller, less salt, less fat, less everything. I hope they don’t offer me crayons. I rarely go to Denny’s so this won’t help me much. I got to apply for the Old Age Security benefits – yes, Old Age. They will all be all clawed back so it makes me wonder if this is some sort of pretend advantage to ageing. I told someone this week that it was a bit like a dream. I am not “old”. When you apply for the Old Age Security the envelope you send the application in has “Old Age” printed on the front in big letters. A “rub-it-in” I thought. Or maybe they are trying to get people not to apply. I got a couple of birthday cards this week – and some had the traditional “too many candles to blow out” message. That is just fine with me. I do have a sense of humour and can take some gentle ribbing about my advancing age. But I also got a card from the university saying that because I had reached 65 my dental insurance coverage would be cancelled at the end of this month. Happy Birthday. Gum your way into senility. Or maybe the plan was set up expecting most people over 65 to have long since lost their teeth. Whatever. It was a bit of a punishment for reaching this age. Having said all this, I also recognize that I am very fortunate. I have good health, am able to play squash with people 20 years younger than I am, still can remember lines and do Shakespeare (or as in the Coarse Acting play I was just in, pseudo-Shakespeare). I have the flexibility to continue to work, but at my own pace, travel to visit friends when I want and enjoy visits (including a birthday dinner tonight) with my family which extends from my 92 year old Dad (what must that be like?) to my youngest of 5 grandchildren checking in at 1. I will get over this psychological hump – probably by tomorrow – and settle in to my new age, recognizing that it is only a number and that I am no different than I was last week. A little older, a very little bit wiser and able to unabashedly get senior rates at Shopper’s Drug Mart on Thursdays! 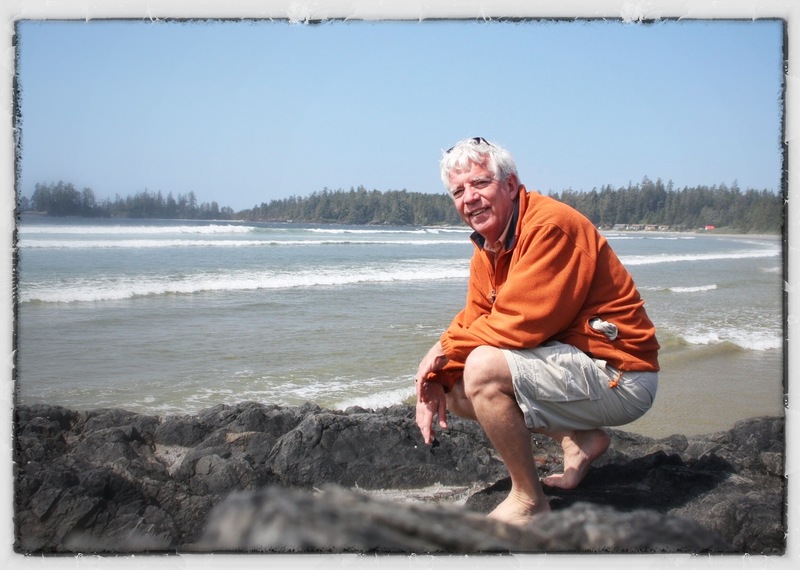 Spring 2012 – Tofino B.C. Vacation on the Equator in July? While Canadians sweat it out on the 45th parallel with July temperatures around 30 degrees Celcius, can you imagine what it is like on the Maasai Mara in Kenya, just below the equator? Well, it is fantastic! Daytime temperatures in Kenya are around 24 degrees during the day in July and dip to a comfortable level in the teens at night. It is perfect weather and generally not rainy, either. My African friends complain that it is cool and call it their “winter”. Combine that with the fact that it is summer vacation time here in North America and it makes the ideal time to travel to East Africa on a holiday. 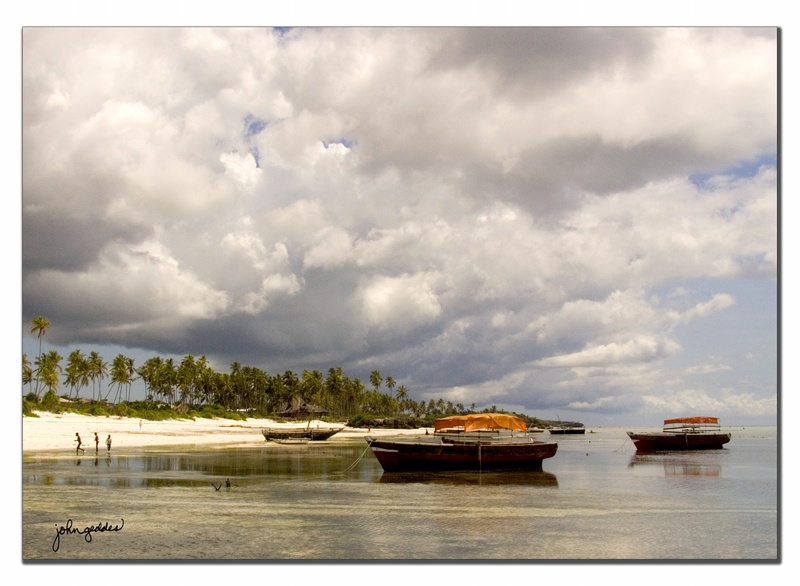 The weather in East Africa has traditionally followed the pattern of having two rainy seasons, one in October to December and one in April and May. And when it rains in Africa, it rains. During the dry season the ground gets packed down and hard and the first rains flow over the land in rivulets, causing great furrows in the roads and problems with erosion. 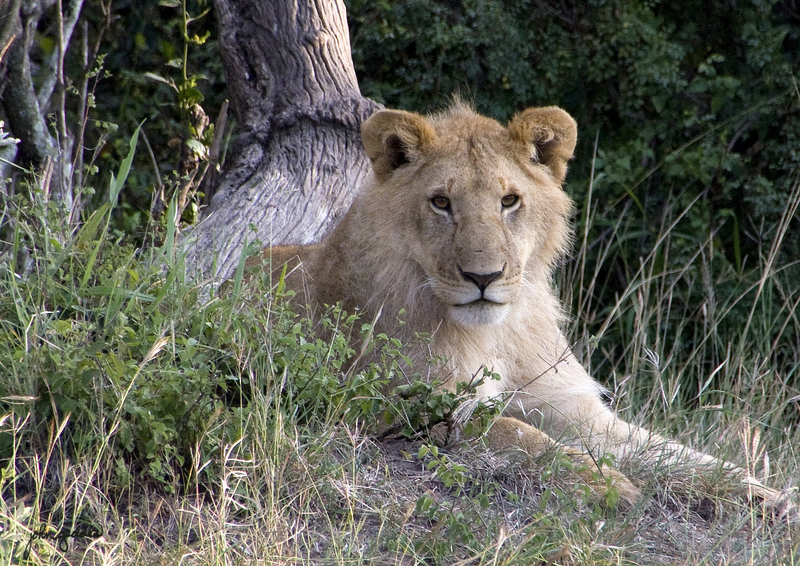 So avoiding the rainy seasons are a good idea if you are planning a safari. Unfortunately, the weather conditions have become less reliable with climate change and rains tend to occur a bit more unpredictably. But, in general, July and August and January and February remain pleasant and relatively dry. Added to this weather appeal is the fact that the famous Wildebeest migration happens in July and August. 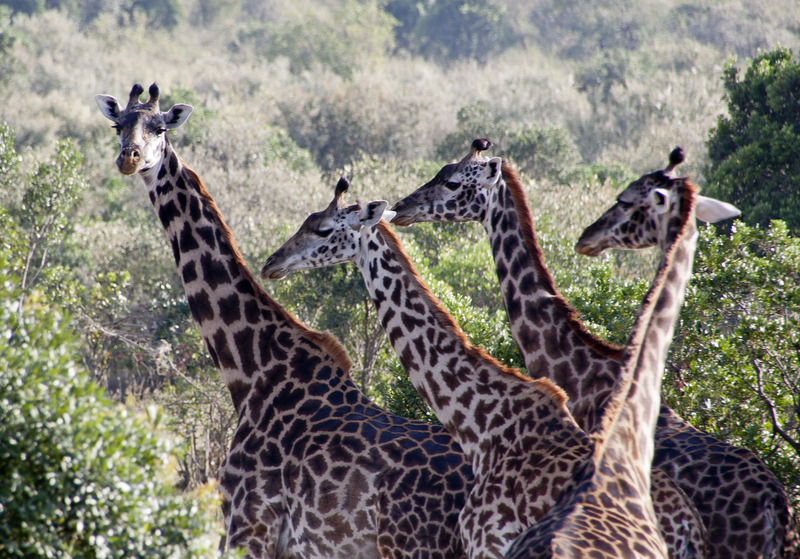 Two million of these oddly constructed creatures migrate from the Serengeti in Tanzania to the Maasai Mara in Kenya, bringing with them hordes of zebras and enticing carnivores like lions to activley gorge themselves with the plenty. Even the crocodiles in the Mara River wake up for this passage, feeding while they can and then lying dormant for months between feeds. The Indian Ocean coast, by comparison, is hot all year through. If you like to swim in the ocean or scuba dive or snorkel, the clear reef waters are the perfect place for a beach vacation. Another unusual thing is that, despite it seeming quite summery, the days remain on an almost 12 hour cycle throughtout the whole year. The sun comes up between 6:30 and 7 in the morning and sets between 6:30 and 7 all year round. Early to bed and early to rise is the habit. The only down side of traveling in July and August is that it is a more expensive time to fly to Nairobi since all the flights from North America tend to bounce through Europe and connect from there south. Being the peak season for travel in the Northern Hemisphere adds to the cost. 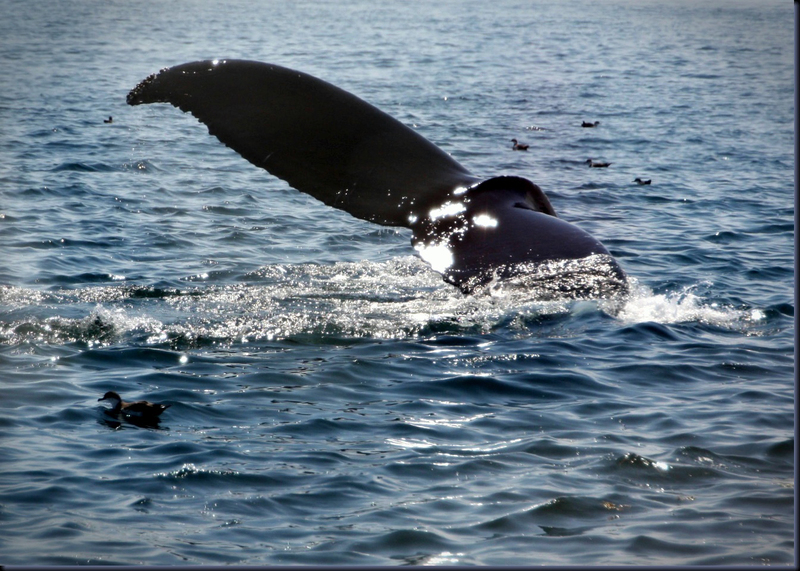 Wanting a trip of a lifetime? Kenya in July might fit the bill. 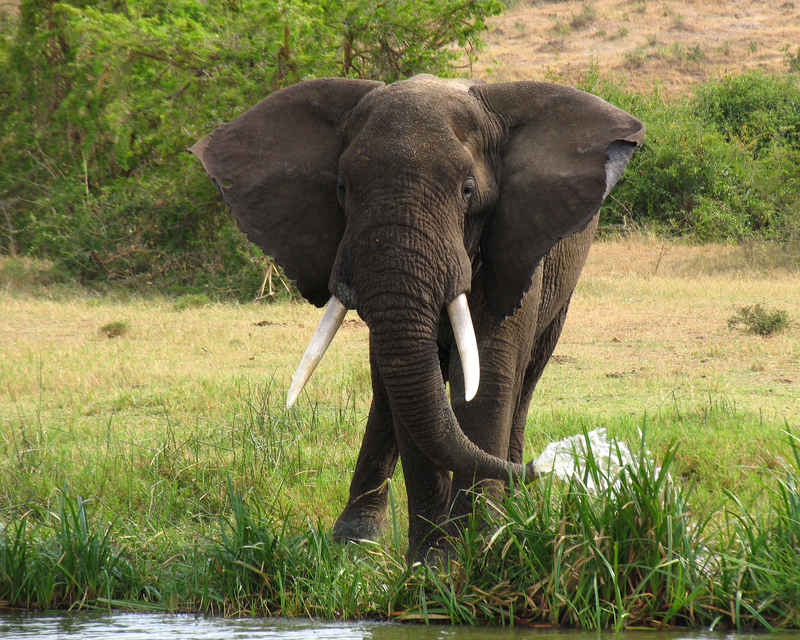 I took my “once in a lifetime” visit to Kenya in July 2003. I have been back to East Africa ten times since that trip. Indeed, it was a safari that changed my life forever.